I was dead set on a Citizen Tokyo or Miami before discovering this forum and now, after seeing so many options, I'm ambivalent. Honestly, I ADORE their aesthetics, but I'm not convinced that their bikes are the best value. This will be my first folder and I want it to be fairly lightweight, able to fit into my small car and not so cumbersome that it will be difficult to travel with (I plan to bring it on a couple of international flights - thankfully bikes just count as one piece of luggage with this airline). My budget is around $300. Gears aren't a huge deal for me, as I used to do 50 mile trips on my single speed (albeit 26" wheels) in a fairly hilly region and I'm not above walking my bike up a hill, haha. I want something that I can travel with and otherwise keep in my car for daily joy riding at parks, etc. Either 16" or 20" wheels are ideal, nothing bigger. I'm only 5'2", so smaller wheels and small frames aren't so bad! 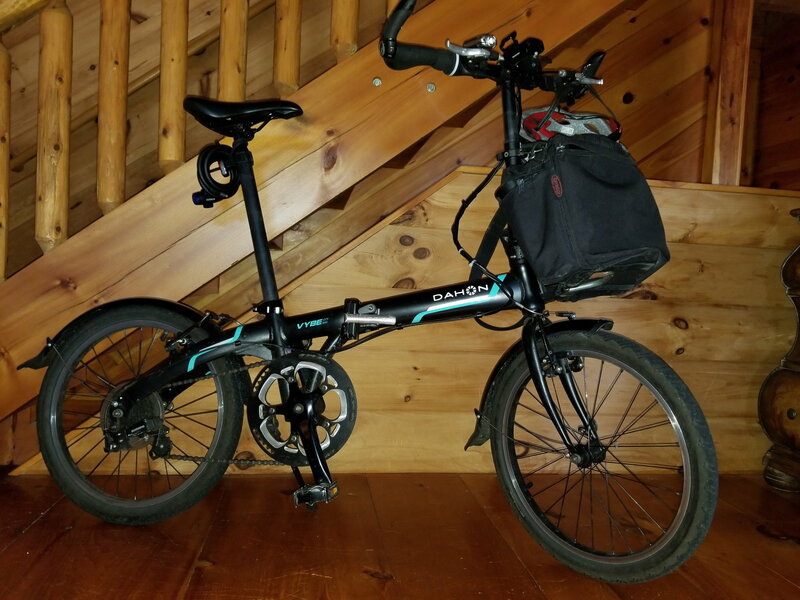 I've also been reading into the Euromini Zizzo Urbano, Dahon Vybe (found used for $250), Downtube Nova and I have read some good things about Origami bikes here as well. I was wondering if anyone has any experience with these or otherwise, could recommend a bike in this price range that they swear by. I appreciate your help and advice. Thank you. Last edited by MissMarina; 02-24-19 at 06:09 PM. So true. I'm having trouble finding what I'm looking for in my area; in fact, many of the shops I've been to don't even carry folding bikes and if they do they're towards the higher end of the price point spectrum. Definitely going to keep my eye out! The Via is a beautiful looking bike. I have it for my daughter and only took it out for a fine tuning spin. I would put it on par with the Vybe and Urbano, but nicer looking. The Vybe is my workhorse and I've been beating on it for 2 years without issue. I think you can't go wrong with either. The Vybe has mounts on the headset for a bag carrier. Makes a huge difference when commuting. It has a freewheel that is a concern to some but not for me. These are entry level bikes that will be fun to ride and practical. I am a longtime EuroMini (Zizzo) owner X 2 units. In fact I can be found in their gallery in several pictures in their “ADventures” section on rides from Joshua Tree to the beaches of So-Cal. We have and continue to be VERY happy with these Urbanos, and they have been as close to perfect,( especially considering their modest price points), as any product I have owned. What few issues I’ve had, Tony and the tech folks there have resolved quickly and cheerfully. I have recommended these to friends, and purchased some as gifts for family members. These bikes are just as tight and precise now as they were when new. We have over 1,500 miles on each of them. Thats my real-world experience with the bikes and the company. Last edited by FolderBeholder; 02-25-19 at 12:12 AM. I'm glad to hear the Via compares to the Vybe and Urbano, especially when it comes at a much lower price point brand new. I've only just heard of Euromini, so your positive feedback is reassuring. Build quality is so important and it's so difficult to gauge online. Thank you! Thank you! I'm really leaning towards the Urbano | Liberte (second-hand) right now and it's always super reassuring to hear from someone who is actively using one. It's also good to know that the company stands behind their bikes. I baby my bikes, but intend to use them heavily and travel frequently. Always good to know they can hold up! Thank you very much! Yea, they all do seem like great bikes and the Vybe definitely stands out. I am happy to answer any questions that you have on Origami. I think if you focus on the quality of components you are getting and the warranty and weight limits of the frame and the price point of the bikes it's difficult to argue against the Urbano or Liberte. It may take a few bikes before you find one you like. Check out Craigslist and test ride. Spend under $100 to find what you like. I gave my my 70 year old 5'1" sister-in-law a 20+ year old Dahon Boardwalk and she's been riding it nearly everyday for three years. Those older italian folders are nice also. Talk, test, ride with fellow folding bike owners near you. We LOVE to show off our bikes. And watch out for one thing that is universal on all new under $500 derailleur bikes. You will test ride first!! They are geared way, way, way too low. And you will be pedaling like crazy to keep up with people jogging near you. You want the high gear above 80 gear inches. BTW, I can vouch for DownTube, a good quality bike, but go for the internal geared model. I have an Urbana and I opened a thread on the review. OP - I got this emailed today, maybe it can help you out: ZiZZO Bikes March Sale! Perfect timing to check this forum. I am in the same situation looking for a folder. Old mountain bike needs to retire from 1994. Too bad about NYCe I at the end of Hudson Line and was going to run down to try a few bikes. EuroMini has been getting more attention than Citizen Miami for me but Citizen been in it longer it seems. MissMarina Thanks for posting great info all. Since the coupon code came up, I think I'll be going with the Urbano! Great timing. None of the other options stood out to me in terms of size, functionality, warranty and value the way that the Urbano did. It seems that a lot of people have no problem fitting it into a suitcase with a little disassembly and that's a big factor for me. I just wish they came in colors other than black and red. I love the citizen Miami's aesthetic, but it's way heavier and much larger when folded (a 35" would never fit in my VW Beetle trunk, haha). I wish Euromini would come out with some colors other than red and black, but until they do... at least the black is snazzy! I'm certain you'll enjoy it....we still adore our 2 EuroMini Urbanos almost 2 years in. Glad the coupon helped. 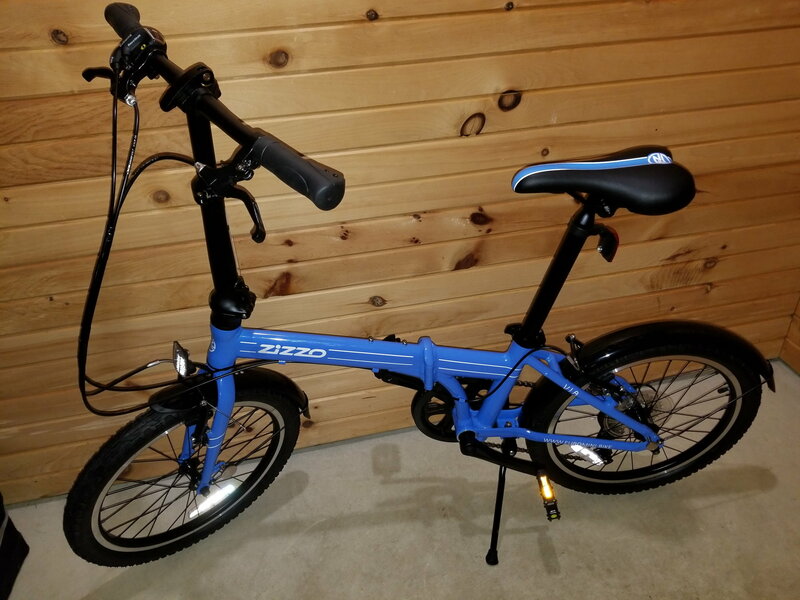 FWIW, if I had not fallen into a great deal on a barely used Dahon Mu Uno, I would have purchased a Zizzo (that's how I got on their mailing list). And, also fwiw, they were incredibly helpful and responsive. I live a short Bart ride away from their HQ and they offered test rides, and free assembled pick up there and free return there if I didn't like it. Darned good service!!! Oh - and btw, a black bike is like a little black dress......you can accessorize in any colors you want =). Get yourself some new grips and bell and bags in a color you like and you will see how versatile it can be. Get tired of the colors, just change the accessories. Much harder to do when the frame is painted a color.